What does the Bible say about sins of omission? 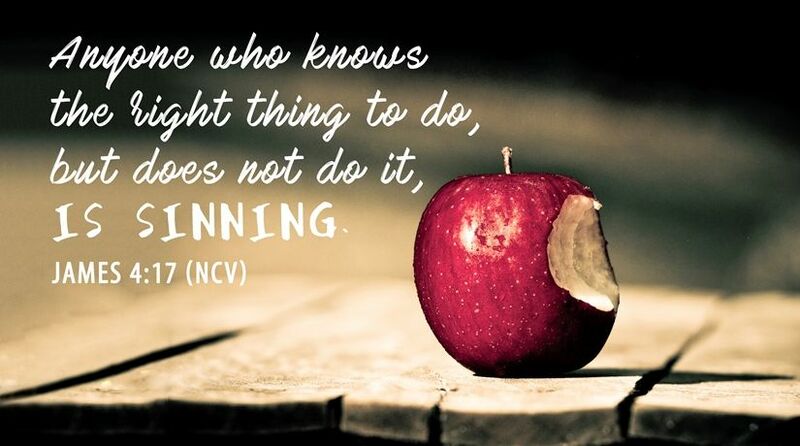 Can you really sin by forgetting or failing to do something? Does God care? We all know there can be serious consequences for leaving something undone. One of Aesop’s fables tells the story of the ant and the grasshopper. In the story, the ant spends all summer storing up food for the winter, while the grasshopper spends each day chirping and singing. When winter finally arrives and the grasshopper is starving, he asks the ant for food. The ant reminds the grasshopper of his failure to prepare during the summer and suggests that the grasshopper now dance the winter away, as he did the summer. In His famous parable of the 10 virgins, Jesus Christ talked about the perils of leaving something undone until it is too late. The parable talks about a coming kingdom and a returning bridegroom, along with 10 virgins who are to take their lamps to meet the bridegroom. Five “wise” virgins take extra oil for their lamps, and five “foolish” virgins take no oil (Matthew 25:1-4). The following verses tell how the bridegroom is delayed and all 10 virgins fall asleep. Finally, at midnight, the bridegroom comes and all 10 virgins are awakened by a cry upon his arrival (verses 5-6). The difference between those who had prepared and those who hadn’t is described next: “Then all those virgins arose and trimmed their lamps. And the foolish said to the wise, ‘Give us some of your oil, for our lamps are going out.’ But the wise answered, saying, ‘No, lest there should not be enough for us and you; but go rather to those who sell, and buy for yourselves.’ And while they went to buy, the bridegroom came, and those who were ready went in with him to the wedding; and the door was shut. “Afterward the other virgins came also, saying, ‘Lord, Lord, open to us!’ But he answered and said, ‘Assuredly, I say to you, I do not know you’” (verses 7-12). The profound teaching from Jesus’ parable: Clearly there comes a time when it is too late to prepare for His Kingdom! Failure to do what we should be doing now can have far-reaching consequences. But is it a sin? Is a “sin of omission” just a regrettable lack of action on our part? Or can it really be a sin if we leave something undone? Put simply, sin is a failure to obey the laws of God. Now consider the 10 Commandments—the most well-known of God’s laws for mankind. When we think of the 10 Commandments, we often tend to think of the phrase “thou shalt not,” which comprises the first few words of most of the commandments in the King James Version. Not all of the commandments, however, command against certain actions. Two of the commands require us to do something, rather than not do something. These are the Fourth and Fifth Commandments. “Remember the Sabbath day, to keep it holy” (Exodus 20:8). This is the Fourth Commandment. The Fifth Commandment says, “Honor your father and your mother, that your days may be long upon the land which the LORD your God is giving you” (verse 12). So, failure to do what these commandments say—the omission of these actions—is a sin. Other scriptures further show that failure to do what God commands is a sin. “Therefore, to him who knows to do good and does not do it, to him it is sin” (James 4:17). Consider also Jesus Christ’s statements about how He will judge the nations when He returns. Matthew 25:31-34 pictures Him returning, being seated on His throne and judging the nations. It talks about how He will put the “sheep” on His right hand and the “goats” on His left. The “goats” are those who saw others hungry and didn’t feed them, or saw them thirsty and didn’t give them drink, or didn’t visit them in prison (verses 35-40). His judgment on the “goats” is a harsh one: “Then He will say to those on the left hand, ‘Depart from Me, you cursed, into the everlasting fire prepared for the devil and his angels: for I was hungry and you gave Me no food; I was thirsty and you gave Me no drink; I was a stranger and you did not take Me in, naked and you did not clothe Me, sick and in prison and you did not visit Me’” (verses 41-43). When the apostle Paul reflected on things left undone that he should be doing, together with things he shouldn’t be doing but found himself doing anyway, he categorized both as sin. “For what I am doing, I do not understand. For what I will to do, that I do not practice; but what I hate, that I do. … But now, it is no longer I who do it, but sin that dwells in me” (Romans 7:15, 17). “For the good that I will to do, I do not do; but the evil I will not to do, that I practice. Now if I do what I will not to do, it is no longer I who do it, but the sin that dwells in me” (verses 19-20). Clearly Paul knew that doing the things we should be doing is as important as not doing the things we know we should stop doing. “For the kingdom of heaven is like a man traveling to a far country, who called his own servants and delivered his goods to them. And to one he gave five talents, to another two, and to another one, to each according to his own ability; and immediately he went on a journey. Then he who had received the five talents went and traded with them, and made another five talents. And likewise he who had received two gained two more also. But he who had received one went and dug in the ground, and hid his lord’s money” (Matthew 25:14-18). The parable goes on to describe how the servants were rewarded when the master returned. To each who had produced something, a reward was given. Both servants who had doubled their talents were made rulers over many things. For the man who had produced nothing with what he was given, the judgment was a harsh one. The last servant, who had produced nothing with what he was given, then came and reported that he had simply buried his talent in the ground. For the man who had produced nothing with what he was given, the judgment was a harsh one: “But his lord answered and said to him, ‘You wicked and lazy servant, you knew that I reap where I have not sown, and gather where I have not scattered seed. So you ought to have deposited my money with the bankers, and at my coming I would have received back my own with interest. Therefore take the talent from him, and give it to him who has ten talents. “‘For to everyone who has, more will be given, and he will have abundance; but from him who does not have, even what he has will be taken away. And cast the unprofitable servant into the outer darkness. There will be weeping and gnashing of teeth’” (verses 26-30). Are there sins of omission? Clearly there are. To the apostle Paul, they were weighted equally with the things he actively did that were wrong. Jesus’ further message to His disciples is this: Avoiding the bad is not enough. A profitable servant actively produces good fruits with what he or she is given. Actively choosing to do the right thing can be difficult in many circumstances, but it is necessary. What are you doing with what you have been given?